Dr. Fathima Manzil is a specialist in diagnostic radiology and nuclear medicine who graduated from Calicut Medical College. She completed her residency training at University of Alabama Medical Center. Having a medical practice experience of nearly 20 years, Dr. Manzil has also contributed to multiple publications over the course of her career. 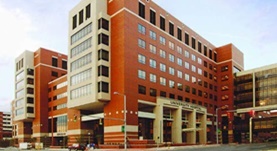 At the time, Dr. Fathima Manzil is affiliated with the University of Alabama Hospital. Dr. Fathima Manzil has contributed to 3 publications. State of the art epilepsy imaging: an update. Vattoth, S.,Palot Manzil, F. F.,Singhal, A.,Riley, K. O.,Bag, A. K.; Clin Nucl Med. 2014 May 09. Evaluation of Tumor-Induced Osteomalacia with 111In-Pentetreotide Scintigraphy. Palot Manzil, F. F.,Bhambhvani, P. G.,O'Malley, J. P.; J Nucl Med Technol. 2013 Oct 26. Primary hyperparathyroidism-related brown tumors mimicking other giant cell-containing skeletal tumors: role of correlative imaging in diagnosis. Palot Manzil, F. F.,Bhambhvani, P.,Vattoth, S.,Subedi, S. K.,Bag, A. K.,O'Malley, J. P.; J Nucl Med Technol. 2013 Mar.